Ranked as one of Destin's top resorts. We have a 4300 Square Foot Heated Lagoon-style Pool with a mushroom fountain and a heated beachside pool, security guards, and gated entrances. Indoor private 42 seat movie theater to watch your favorite sporting event or a DVD on the Big Screen. This unit has an awesome view of the Gulf of Mexico from the tenth floor. Beachside with dedicated beach, beach club, and beach service. Palisades environment with restaurants, amusements, and shops. This Non-Smoking condo decorated by a professional interior designer with the goal of providing a warm homelike feel, not a rental appearance. You are guaranteed to enjoy these deluxe accommodations. on site fitness on 2nd floor. H-U-G-E balcony centrally located overlooking the Gulf. Two private pools. Beach pool for those laid back and a large lagoon pool for family/kids. We loved the condo and the property. It was close to everything. We will return. Great location. Nice clean and Close to everything. Beautiful condo.Great view from the 10th floor. We will definitely stay here again. Me , my mom, husband, and daughter come to Destin every year to kick off summer, and celebrate our anniversary. We enjoyed our stay at this property although it needs updates, and that is why I was so dissapointed once we got home. My mom and I went above and beyond to follow the intructions. Bedding and towels on floor in laundry room, and load dishwasher. My mom being nurse and me being a teacher we are super conscious about germs and dirt we washed everything as soon as we arrived and we cleaned and washed before we left, and left property clean and in tip top shape. I received a message from Joel with out right lies saying property was damaged, a pull out sofa was damaged which was never used during our stay, and that sheets and towels were unable to be washed. I am beyond infuriated to be lied to about ME. I mean the audacity to steal people's security deposit money just to fund their much needed updates. It is very dishonest and I would not recommend doing business with such a dishonest property owner. There are too many property options in Destin to risk it. I contacted Joel, the property owner, twice asking for pictures as this was not true and further information, and have yet to hear back from him. I have made a personal trip to the condo and spoken directly with the staff. The indicated the condo was in a most concerning state following your stay. I will respect your claim that the sofa bed was not used. Please note that a new sofa bed has been purchased and is in the unit. I am prepared to withhold half of your security deposit as there is a reason for a security deposit. I wish to add your negative personal comments are surprising given our limited interaction. I remain professional in all endeavors. Very clean. Great view. Easy check in. Might be time for some updates. Will return again. Rates are subject to change up to confirmation of booking. Stays of less than 7 days are subject to $150 cleaning fee. 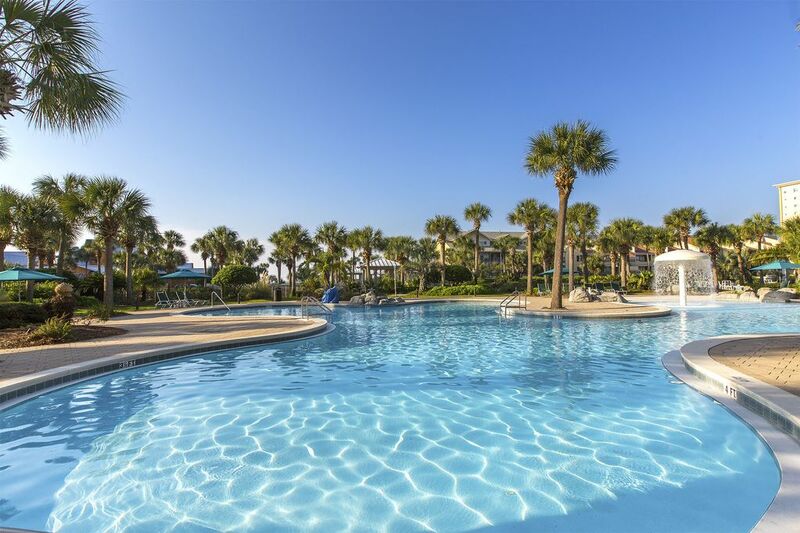 Our stated rates include basic cleaning fee whereas Sterling Shores adds cleaning fee & reservation fees on top. State and county taxes are not included in rates.